What is LOVE, Dr. Cookerly? : Transcendental Love: Mysteries and Wonders for Your Future? 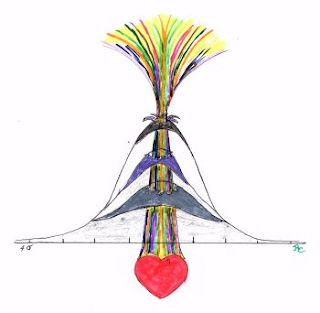 Synopsis: Pondering the many, yet rare, profound experiences of transcendental love (TL) introduces this mini-love-lesson; what Russian Loveology tells us about TL; and then what you and yours might do to experience the wonders and marvels of TL; more. What Do You Know about Transcendental Love? Do you know that there are several million people who deeply and sincerely tell of transcendental love (TL) experiences mysteriously and wonderfully changing their lives? Sometimes they speak of the experience making their lives marvelously more meaningful, giving them new and better life purpose and a fresh life path, and also TL deeply bonding them with others in ways seemingly beyond explanation? Others tell of those experiences giving them great comfort, astounding inspiration, a sense of cosmic understanding and that they were the very most important experiences of their lives. Have you heard of the couples who report awesome, intimate connecting and uniting experiences by way of what can be well categorized as a transcendental love events? Then there are the almost mystical incidences which have momentous, positive effect on whole families, deep friendships and strong comrade alliances. Upon inspection these too may be legitimately described as transcendental love happenings. Are you aware that many civilization’s best contributors and progress creators had what can be seen as a profound, transcendental love experience prior to producing the influence they came to be known for? You are awake and alert in the middle of the night. For unknown reasons you take a long, lingering look at someone you dearly love who is laying nearby in a deep, peaceful sleep. It could be your spouse, child, new baby, dearly beloved grandparent or anyone you have strong love for. Suddenly you feel a most profound and abiding surge of magnificent, intimate and abiding love for that person. Your sense of awesome love is so great it is almost painful. You experience your love of, for and with that person in a way that transcends anything you have ever known before. It is beyond comprehension, beyond explanation and far beyond your normal ways of perceiving reality. Somehow you feel more intimately united, not only with this sleeping beloved but simultaneously with the life force itself and with the whole universe. You weep quietly, and then an amazing sense of you know not what gives you a serene feeling of great, personal peace. Something akin to that description has been given by countless others; it perhaps can be classified as the most common type of transcendental love experience by different people all around the world, although this experience cannot be called ‘common’ at all. A very loving couple was sexually making love. Suddenly they simultaneously were inundated by an ecstasy-filled sense of oceanic, spiritual connectedness. This feeling of union was not only with each other but also with what they identify as a universal, loving deity. This was far beyond their previous, climactic experiences. Later they describe an awareness of the exploding and mingling of their spirits with all that is good and holy in existence. Slowly, as they related it, their scattered, atoms of spirit seemed to drift back together and they became joyously rejoined. When they left that altered state and reentered common reality they had a sense that they were now strangely changed and mysteriously linked. Now, contemplate this. Someone, with a sense of serenity, sacrifices their own life for someone they dearly love transcending their own survival instinct and the evolutionary imperatives of genetic continuance. It is thought that somewhere in the world this kind of love-motivated action happens almost everyday. A prayer circle of loving family and friends gathers around a deathly ill loved one. The circle offers prayers, perhaps chants, sways and makes ritualistic gestures while going into a mutual, deeply meditative state. From that moment on the observable symptoms of the deadly disease begin to alleviate. Later evidence of the disease can no longer be found in the loved one’s body. Countless, well-documented examples like these exist around the world and have existed throughout history. Are these also examples of transcendental love at work? First, let us be sure we are understanding the words ‘transcendent’ and ‘transcendental’. Both simply mean and refer to that which is happening beyond the range of normal or merely physical, human experience and that which surpasses ordinary, usual comprehension. Transcendental often carries with it the connotation of being ‘higher’, more profound, greater, deeper, wider, more magnificent, universal and cosmically connected. Transcendent can refer to that which passes beyond our understanding of space, time and the physical universe. Words and concepts sometimes associated with transcendental are metaphysical, mystical, beyond human understanding, miraculous, extra sensorial, cosmic, poly-dimensional, infinite, eternal, spiritual, omnipresent, indescribable and ethereal. In 2013 Russian scientists began officially establishing “loveology” as a separate, independent branch of the natural sciences. As published in the European Journal Of Natural History (No2) they proffered three major areas of focus for the study of love. One was biological love phenomena (includes physiological, brain science, physical medicine, etc.) another was what they called social-philosophic love phenomena (includes philosophy, psychology, sociology, cultural anthropology, etc.) and the third was “transcendent” love phenomena (includes, metaphysical, historical, theological, spiritual, esoteric, etc.) and their interrelationship with one another. They reasoned there was plenty of research evidence in all three areas concerning love, and that combined with the accumulation of science-based research led to the conclusionary pronouncement “We think that the time for loveology has come!”, including its emphasis on transcendent love. Since then, more research projects into love have been launched and conducted, and a good many more are on the way including those into transcendental love phenomena. Can You Have (Experience) Transcendental Love? The simple answer is yes. However, the statistical answer is probably not. That is because, it appears, that the majority of people do not ever experience transcendental love, or if they do experience it at all, it only is minor episodes of it. You, however, can do things to enhance your chances of having what many consider to be the most wonderful and miraculous form of love experience possible – that of transcendental love. Here are some things you can do. For an ongoing time, inundate yourself with the study of the transcendental experience and its tenants. While doing so, engage in deep introspection, cosmic extraspection, and both seeing and connecting with others at their core, heart level. For couples, creating and engaging in intimate, joint, spiritual practices has been known to be a very good way to seek the transcendental love experience. Transcendental and other types of meditation, going on a vision quest, doing yoga mind, body and heart exercises, engaging in Sufi whirling dancing and chanting, following Hindu, Buddhist, Zen, Sufi Islamic, Taoist, Tantric, Judaic or esoteric Christian teachings and practices, along with any other spiritual/religious approach involving the transcendental, going to humanistic and positivistic psychology experiential workshops, retreats and classes, and doing the vast host of things similar to those just listed. Also, inundating yourself with the study of love and continuously practicing what you learn as best you can tends to strengthen one’s transcendental love potential. Also known to be helpful is immersing yourself in nature and its beauty-filled wonders, doing selfless altruistic service, doing personal growth therapy, doing pilgrimages to the shrines and places you personally find important and inspiring, and frequently engaging in deep meditation and prayer. Couples, families and friends sometimes can do these things together and that, indeed, may enhance the transcendent love experience when and if it happens. The message here is, for the transcendental love to happen, you may have to do love-oriented or love-possible things earnestly and with some expenditure of time and energy. It probably will not work to just play around or toy with these endeavors. However, the transcendental love experience may surprisingly just come to you one day for no known reason because that also is what is frequently reported. The transcendental love experience is seen to be profoundly deep, astonishingly high and wondrously wide but not at all guaranteed or certain. ♥ Love Success Question: Will you actually and actively explore one pathway or another toward transcendental love?